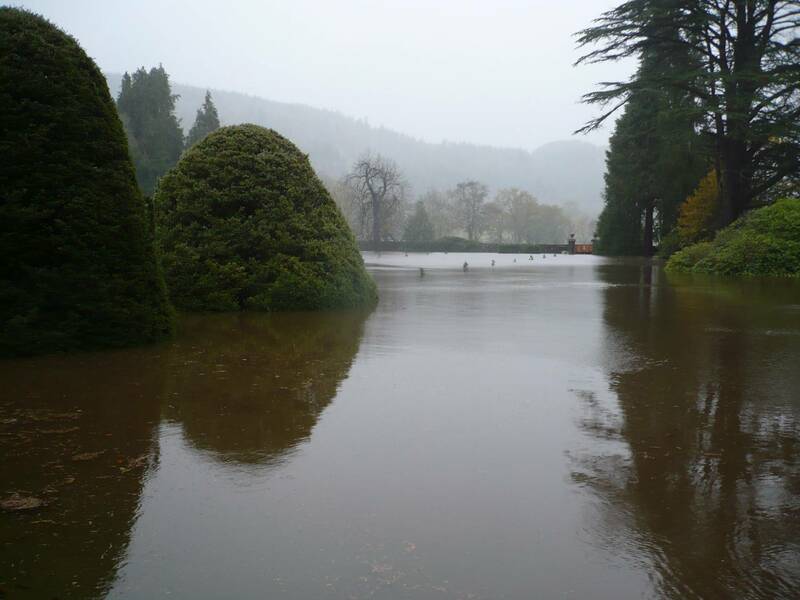 While the Conwy Valley has historically suffered periodic flooding from the River Conwy, Gwydir’s own flooding problems are a relatively recent phenomenon. 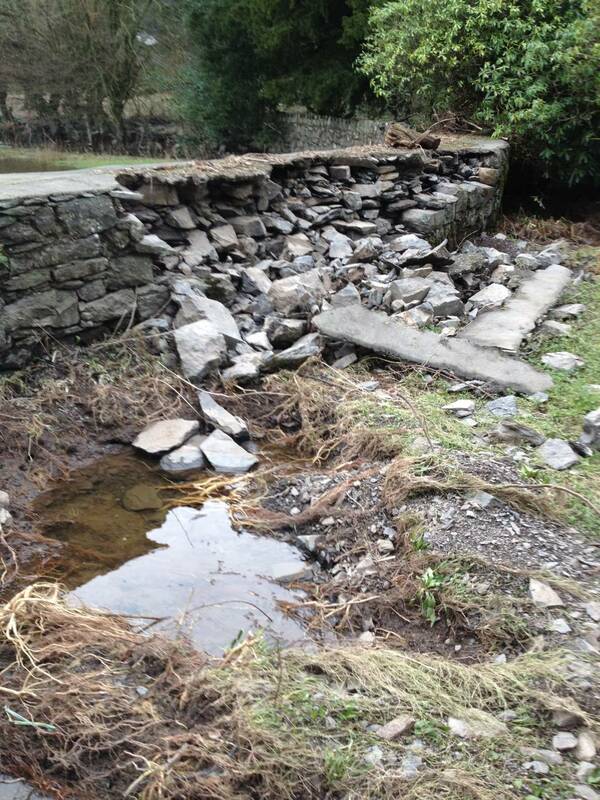 The approach to flood water management in the Conwy Valley has undergone significant changes in the last sixty years and this has led to an alarming increase in the number and severity of floods here – floods unknown in previous centuries. Not only are the historic gardens now suffering regular flooding, but the castle cellars are now also becoming inundated (by up to six feet of water). 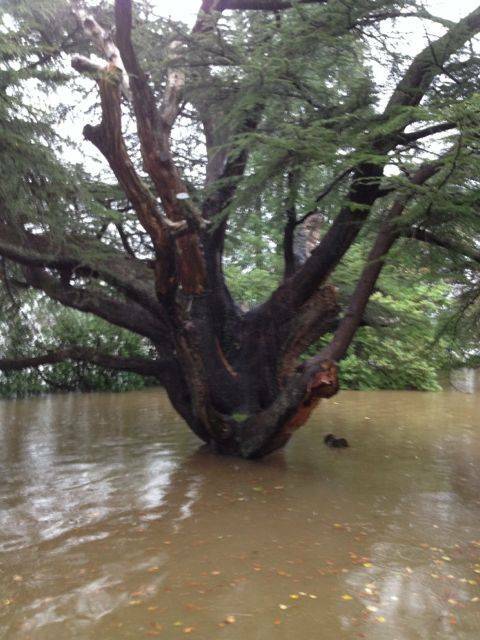 Damage to the gardens has included loss of listed trees, walls and gates, with sixteen of the twenty-two yew trees from the Dutch Garden Avenue now lost, together with around a dozen further mature trees. In the castle, the constant wetting and drying cycle has undermined the fabric in places, necessitating underpinning works in the cellars. In addition, capillary rise, dry and wet rot and high humidity levels are taking a steady toll. 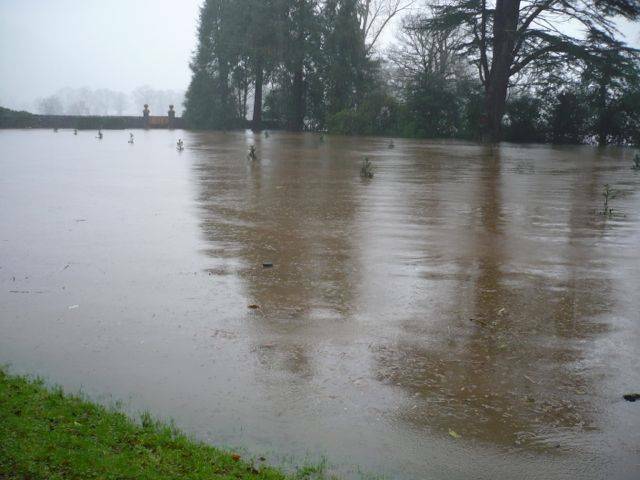 It is recognised that Gwydir is suffering flooding from water displaced by a series of hard flood defences built to the north (designed to protect farm land and other businesses). These embankments create pinch-points along the river and Gwydir suffers the result of backed up flood water whenever the River Conwy bursts its banks. In 2000 the then Environment Agency promised to protect the castle and gardens with a stand-alone flood defence; this was subsequently reneged upon. In 2007-8 the Conwy Valley Flood Alleviation Scheme was implemented, at a cost of over £7 million. Despite being fully appraised of the problems Gwydir was undergoing – and notwithstanding the special circumstances of Gwydir’s double Grade 1 listing (Castle and garden), Gwydir -uniquely – found itself entirely left out of the scheme. 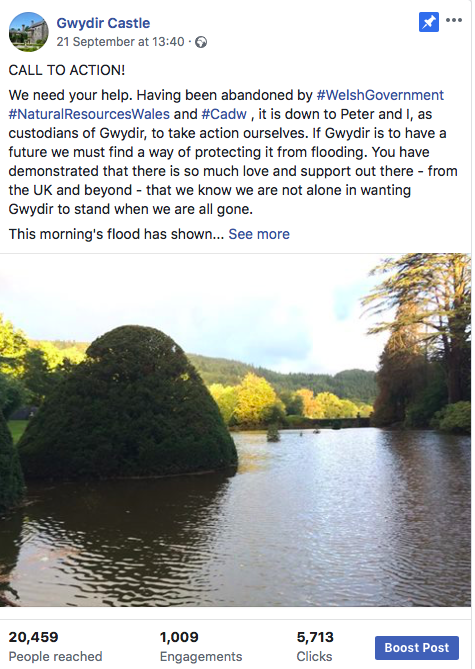 After over twenty years of dialogue with Welsh Assembly Government and its agencies (Natural Resources Wales, Environment Agency Wales, and Cadw), Gwydir continues to suffer increasing flood damage. Welsh Assembly Government have recently confirmed that they do not regard Gwydir as a priority, and refuse to give it any protection against flooding, despite the special consideration one might expect a highly-listed site of historic and cultural value to warrant. While Welsh Assembly Government, the Culture Minister and Cadw continue shamefully to look the other way, we, and our incredible band of volunteers, will do what we can to safeguard Gwydir for future generations.